Our little three wheeler Piaggio Ape van has an espresso machine installed, along with its own built in sink and water tank. We carry our own water supply and are able to run completely self sufficiently with a gas bottle, or alternatively can plug into a 13 amp electricity supply. This enables us to operate in the remotest of places. Our Mobile Coffee Bar is a new addition to our coffee fleet. It is a perfect solution for a coffee service, in a small area, office and/or where our coffee van is not practical. 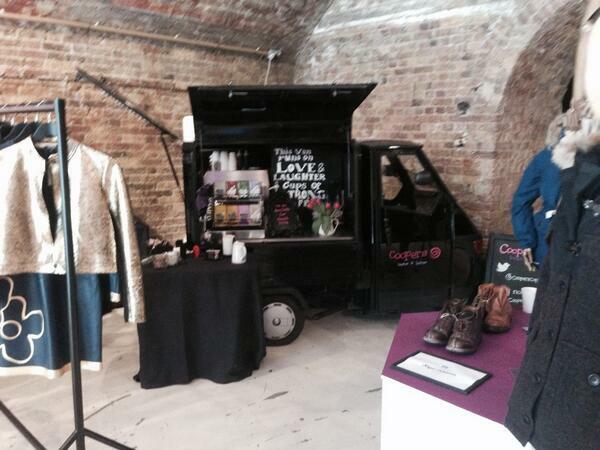 Ideal for exhibitions, product or brand launches, weddings, parties, etc. We can either set our espresso machine up on your own counter, on our folding coffee bar, or a standard height table, all of which can be fully branded with your company logo or strapline. 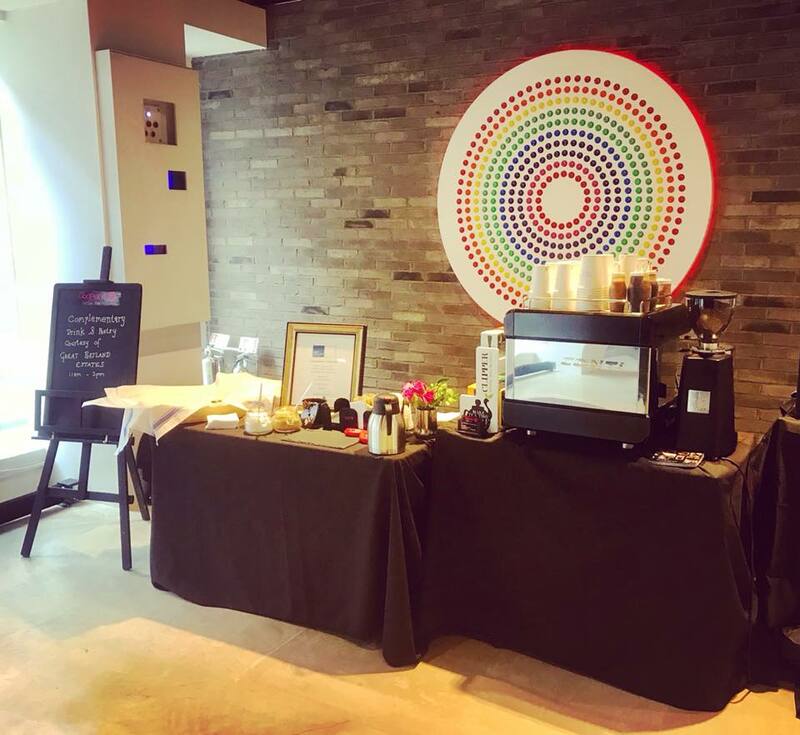 We are able to set up our coffee bar indoors or outdoors, where a 13 amp electrical supply is available. We carry our own independent water supply. Our coffee van can be completely self sufficient, without the need for a noisy generator, so can operate in the remotest of places. All we need for our Coffee Bar is a 13 Amp electricity supply. We carry our own water supply. Both options are able to provide great coffee in a very small footprint. Our "All Inclusive" package is perfect for events where there is no need to charge your guests and can be fully tailored to your requirements. 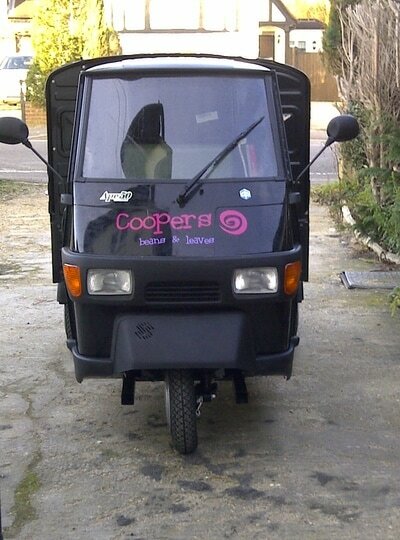 This package include our fully stocked Piaggio Mobile Coffee van, or Mobile Coffee Bar and fully trained Barista. 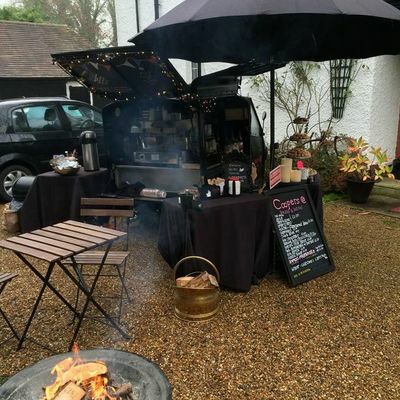 We typically offer our Coffee Van service within a 30 mile radius of base, although have been known to travel further, our Coffee Bar has no bounds and can be set up anywhere. A number of additional options are available to add to our drinks package, including full branding and/or a selection of homemade cakes and brownies or pre bought pastries and croissants.